One of the best platformers currently available on the Switch eShop is Slime-San, the weird 2D sidescroller that takes place inside a giant carnivorous worm. The striking color palette, square screen design, and twitch platformer controls make it a nice alternative to contemporaries like Super Meat Boy and Celeste, and the sizable amount of content on offer is a huge bonus. A few months ago, the game received a big expansion that added another campaign and various other extras, and now a second expansion has gone live with even more to offer. And for those of you that are on the fence, the game is currently half off on the eShop; there’s never been a better time to jump in. What do you think? 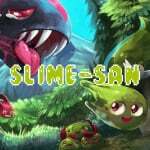 How does Slime-San compare to other platformers? Will you be giving the new content a try? Share your thoughts in the comments below. Sweet! I had no idea this was coming so it's a nice treat. I enjoyed Slime-San quite a bit and I'm down to revisit it and play some fresh content. Ugh okay fine you win. With all of this new content since the game came out I think I’ll finally cave and buy Slime-San. 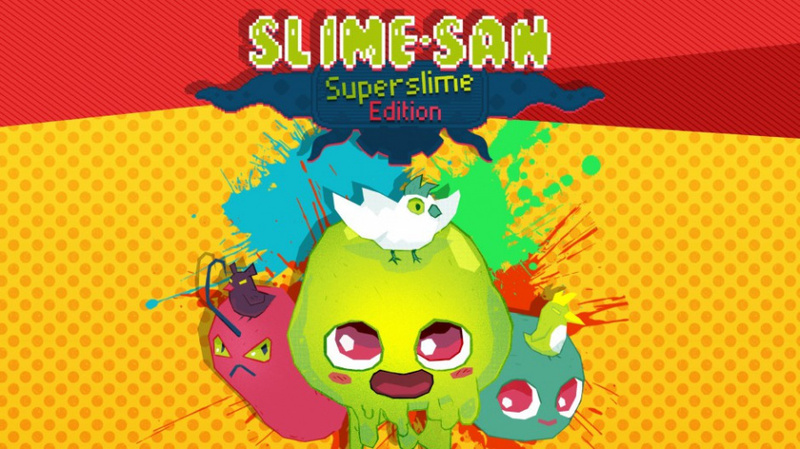 @g_ruz Slime-san has a demo on the eshop if you want to give it a go. I loathed it, but it wasn't for me. It could speak to you. I played the demo and don’t think it’s for me. I can see how it can appeal but it just didn’t click. Just picked it up on sale!! Now my sights are set on the physical copy! I enjoyed Slime-San but the colour palette starts to irritate me after a while. Nice to have some free updates. By the way did anyone else have issues with the controls in Slime-San? Often when I wanted to dash upwards it would dash to the right. Have tried different controllers but having the same problem. I bought it for about 8 bucks when it was on sale and although it's funny (if you like Super Meat Boy, it is), I don't see myself buying it again on physical as I did with Sonic Mania. I don't like it that much nor is it that legendary. I like the game but it has some issues, not game breaking but it could be a much much better game. The color palette is off putting after awhile and you can adjust it thankfully but it only helps a little the controls are another problem they need to be tuned, again not horrible but not tight either my biggest complaint is the game is not balanced well at all, some levels are overly easy and some are brutally hard in no specific order. I would recommend this game but cautiously its not for everyone I would definitely try the demo first. Waiting on my physical version from Limited Run still. All it says is early September. I love this game I was waiting for this. It really is a large quantity and variety of quality content. I'll be buying for sure. This looks promising. @Trikeboy It should be. That was where I first heard the name "Superslime Edition." I liked this game and it’s definitely time to pull myself back into it. Easily the equal of Celeste and the like. Also, surely if awards for 'most supported game post launch' were being handed out, this would be a shoo-in. I'm tempted, but have to also admit I doubt I have enough gaming time to justify this. Going to download the demo now, long car ride this weekend, might be good for the teens. Edit 2: My kid bought it, he's a masochist. Not allowed to play in the car while I'm driving though. Excellent game, the free updates are the cherry on top. It honestly puts other games to shame in terms of free stuff added post launch.